European legal proceedings are not known for their expediency and Delfi AS v Estonia is no exception. 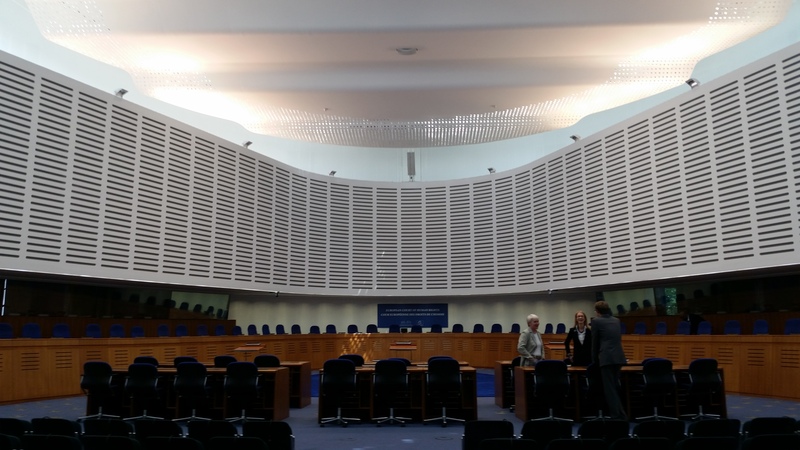 This legal battle — which risks profound implications for freedom of expression online — was launched nine years ago, and only today reached its conclusion with a ruling by the Grand Chamber of the European Court of Human Rights. Unfortunately, this long-awaited decision was not the right one. The Grand Chamber, the highest human rights court in Europe, ruled in favor of Estonia, embracing the idea that websites should be held liable for certain types of anonymous comments posted by users. Access has followed the case for some time, and submitted a brief to the court in favor of Delfi AS that was specifically cited in its decision (in paragraphs 98-100), alongside submissions by Article 19, the Media Legal Defence Initiative, and others. Unfortunately, the court did not fully heed our warnings about the drastic human rights implications in the case. We are dismayed by this blow to the free and open internet (see our statement). The ruling, which imposes liability on websites for user-generated comments, will result in real challenges for freedom of expression, anonymity online, and innovation in Europe. The court tries to limit the ruling to the facts, but doing so opens up a world of questions, creating an uncertain degree of discretion for website operators to decide what user content to censor. The central issue in the case, and the reason it went all the way to the Grand Chamber of the European Court of Human Rights, is the issue of whether the news portal Delfi AS is liable for users’ comments on its website. The case was launched after users of the site posted anonymous comments in response to an article about a shipping company’s decision to change one of its routes and thereby destroy the ice for a potential ice road. Some of the anonymous comments contained personal threats directed at leaders of the shipping company. When one of these individuals filed a complaint six weeks later, Delfi AS took the comments down the same day, in keeping with a notice-and-takedown mechanism, as foreseen under the EU E-Commerce Directive. Despite this same-day takedown, the Supreme Court of Estonia and the First Section of the European Court of Human Rights both held Delfi AS liable for the six weeks that the comments were online — before the complaint was submitted. In other words, the Special Rapporteur argued that the outcome of this case would be significant because holding intermediaries like Delfi AS liable for anonymous speech would essentially be a tax on free expression — where smaller, independent media would be sacrificed to the government’s insistence on pre-screened and scrubbed content, free of any potentially defamatory remarks. Sadly, with the ruling for Estonia, it looks like the worst-case scenario is playing out. So what happens next? Enterprising lawyers and businesses could scour comments sections — or worse, post defamatory comments themselves — to hold media websites, large or small, liable for provocative statements. Delfi AS and other websites like it might end up pre-screening all comments made by users. They may scrap a comments section altogether, which could result in reduced web traffic and ad revenue, hitting independent news sites particularly hard. They might also adopt real name policies to shift liability to the users. That would be especially unfortunate. There are real dangers associated with real name policies. Not only do they limit users’ freedom of expression and right to privacy, they also threaten users’ physical safety. You can see this happening on social networks like Facebook, but the principle applies to any online platform for expression. Other courts have noted this, which is why Korea’s Constitutional Court struck down its national real name directive. Today’s ruling is a step backwards for digital rights, and its implementation could have far-reaching negative consequences that we cannot anticipate. We’ll continue to scour the ruling — and its dissenting opinion — for more insights in the coming days. We will also continue to monitor and challenge these kinds of attacks on users’ rights, working in whatever way we can to ensure open and secure communications for all.